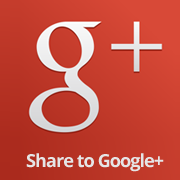 Google+ has been a new stage these days for getting popular and sharing your stuff to the world. If you are a blogger, then you must be fully aware of Google+ and would know the need to get enough audience that makes your post popular, enough popular that you feel your hard work has paid off. Google has provided all the bloggers with a function that could simply do the job for them of putting up their blog posts on their google+ profile without any manual sharing that is usually needed to be done on other Social websites like Facebook and Twitter. You just do the settings once and then each and every post of yours will be there on your profile, easily accessible to everyone in your circle. In this tutorial, we’ll guide you throughout the process of linking up your blogger with your google+ account so that your post gets up there and entertains more visitors for you.